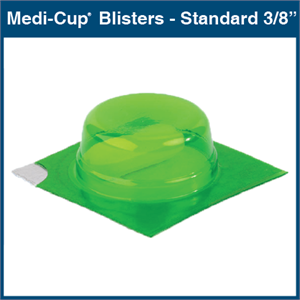 Use with our Medi-Cup Blister Sheets for a tamper-evident, moisture resistant package with 6 or 12 month beyond use dating. 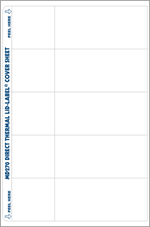 Use with our MILT Software to format your labels any way you want! 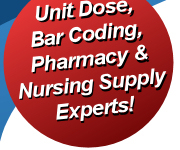 Bar Codes, Graphics, Tall Man Lettering, Shapes, Logos, Symbols and Special Fonts. 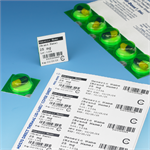 Five 1" x 3" log labels / cards on each sheet for med bin identification, patient profiling or medication administration records. 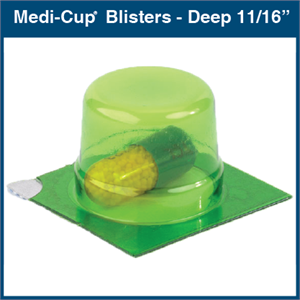 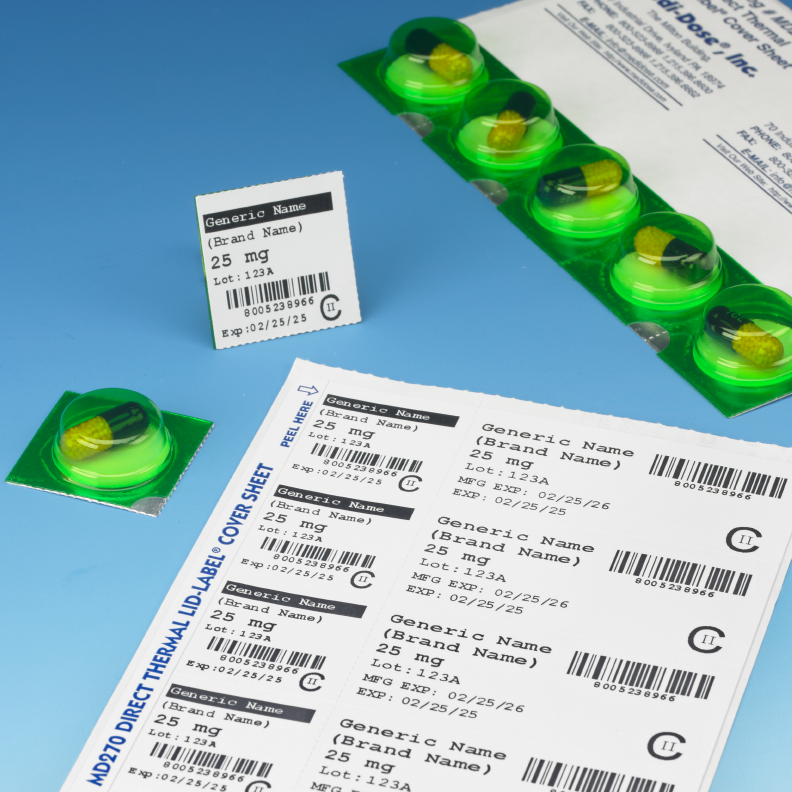 Perforated to allow easy separation and dispensing of individual doses. 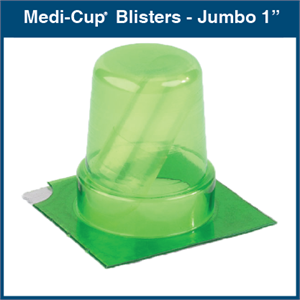 Designed and constructed to prevent contact between medication and FDA acceptable adhesive. 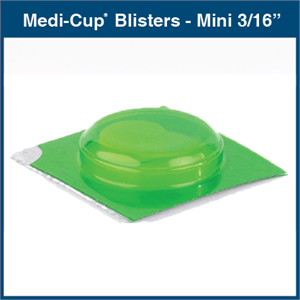 Foil layer and tamper-evident adhesive provide superior moisture barrier, yet still maintain an easy-to-open package. 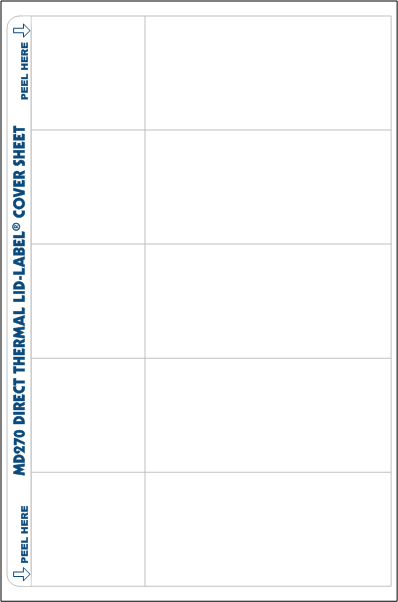 Please Note: These Labels are Fan-Folded. 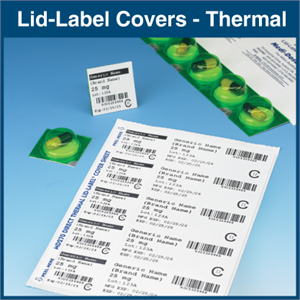 They Sit Behind the Thermal Printer and Feed Through a Slot.